What are the reception hours of Apartments on Flemington ? What is check-in and check-out times for Apartments on Flemington ? What is the phone number for Apartments on Flemington ? What city Apartments on Flemington is in ? What is mailing address for Apartments on Flemington ? 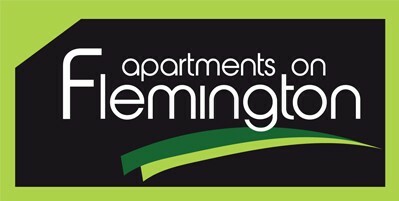 What credit cards are accepted by Apartments on Flemington ? What if I arrive when reception is closed? When can I check in & out? What is the charge for children ? Reception hours are from Mon-Fri: 8am-6pm, Sat/Sun/Public Holidays: 9am-1pm. Guests can check in from: 2pm until 6pm. Guests are requested to state their arrival time on their booking.. Check In Time is 2PM - 6PM, Check Out Time is 10AM. Cancellations must be advised 72 hours prior to arrival, if you are unable to give us this notice time you will be charged the first nights accommodation or 50% of your deposit, which ever is greater. Cancellations not giving at least 24 hours notice will be charged for the full term of stay. Yes a credit card is needed to secure your booking. For after hours arrivals please contact us in advance and we will provide details for after-hours access. Your room will be serviced weekly if your stay is MORE THAN 7 days. Rubbish is emptied daily Mon-Fri and clean towels are provided Mon, Wed, Fri and on request. If additional housekeeping is wanted, it can be arranged through Reception for a fee. We are proud to be a 100% non-smoking accommodation provider. There are smoking areas outside the apartments. Limited on-site car parking is available but cannot be guaranteed. A request can be put in at time of booking but availability will not be known until the day of arrival. Parking is $10 per night payable directly at Reception on arrival. Car key may need to be left at Reception if car park full. There is street parking in accordance with local parking restrictions if preferred. Children 12 years and older are charged as an adult.